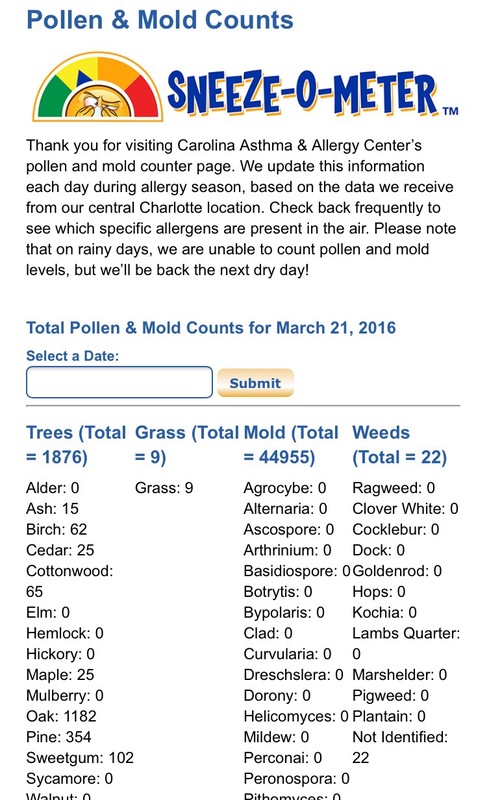 It is that time of the year in NC for pollen. It will layer thick and yellow on everything we own. Allergy symptoms will skyrocket. Here are a few tips and trick that may help reduce your and your child’s symptoms. Allergen Covers – cover your pillow, mattress, and box springs in alleged covers. 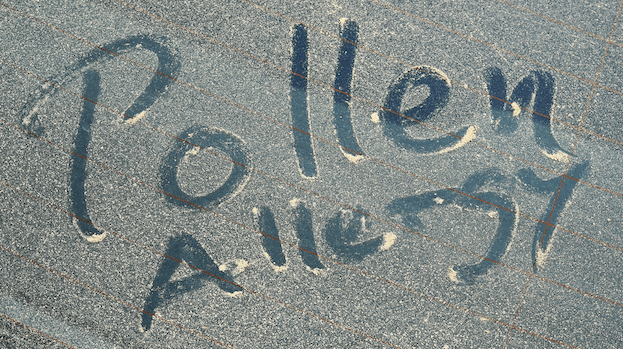 Allergies usually come in groups and by reducing exposure to one kind of allegetgen, such as dust mites, you can reduce your body’s response to other allergens, such as pollen. Gardening – When gardening during high pollen count days, especially raking, sweeping, and mowing the lawn, wear a face mask to decrease the amount of pollen entering your nose and mouth. Allergies are a form of systemic (whole body) inflammation. Here are some tips to decrease the inflammatory response without medications. RAW HONEY – one teaspoon daily of local raw honey can help boost your immune system by developing oral tolerance to local pollen. Local means that the bees live near you, not just a label making “local” claims. There are pollen capsules you can take, but that is a processed product with no guarantee on how much pollen is in the capsule or where the capsule is from. FRUITS AND VEGETABLES – the more you eat of these food groups a day, the less inflammation you will have in your body. LESS SUGAR – the body of a child can only process 4-6 packets or 12-18 grams of ADDED SUGAR a day. Sugar feeds the inflammation in your body and thus leads to more allergies, more acne, more headaches, etc. Read more on added sugar here. Remember that refined carbs turn to sugar so Read here on how this works. Furthermore, fruits have natural sugar, this does not count towards the allotted 12-18. Please do not remove fruits from your diet because of misunderstanding the true sugar issue. Milk and unflavored yogurt also has natural sugar. Again, do not avoid these, but reduce the amount of flavored milks and yogurts in the diet. PROBIOTIC – one daily probiotic to help improve your immune system and decrease inflammation. My favorite is VSL#3 because it has 8 strains, 118 billion colonies, and several published medical research articles proving its effect. Juice Plus – fruits and veggies in gummies and capsules for hose who don’t get the recommended 7-9 servings a day. Well published data on: effects on immune system and reduction of illness, and immune system and effects of oxidative stress. Essential Oils – I have not seen any medical studies documenting a clinical benefit form these oils. Pills/Liquids/Chewables – Over the counter antihistamines such as Zyrtec (cetirizine), Claritin (loratadine) are non-drowsy medications that last for 24hrs in your system. Allegra (fexofenadine) for children must be taken twice daily for maximum effect, and once daily for adults. A few prescription antihistamines are also available, though not much more effective then the over-the counter ones. Speak with your doctor about these. Benadryl, is a great antihistamine but it only lasts 4-6hrs and tends to make most people sleepy. Medicated Steroid Nose Sprays – Flonase, Nasacort, or Nasonex have been shown to be as effective as oral antihistamines in treating allergy symptoms. They are generally not systemically absorbed and work great especially for the congestion associated with allergies. These nose sprays, though containing steroids, do not have the side effects associated with oral steroid medications. As of this publication, Flonase and Nasacort are now over the counter medications. Follow instructions on the bottle and speak with your doctor if these meds are right for you and your child. There is another class of Antihistamine Nose Sprays that are prescription only, and must be discussed with your doctor. Eye drops – Radiator is available over the counter and can help with itchy eyes. Of note, medicated nosesprays as mentioned above, also help with eye symptoms. Prescription eye drops are also available. Please speak with your doctor and your insurance plan. In the era of high-deductible co-pays, prescription eye drops can be costly.